This is not my typical blog post but I want to write about this issue as I am so ashamed and haunted by images I have seen today. Little Man and Little Miss, it is your duty to treat everyone with respect and value every human life. This morning our house was full of excitement at the start of the new school year. A family breakfast, putting on new uniforms, smiles and poses for the first day of school photos and a happy walk to school. Our children have the safe home, education and security which all children deserve and something I take for granted. However images I have seen today have made my heart ache for those parents who risk everything to give their children a safe home. When I was in the newsagents today, I browsed the headlines of the national papers as I normally do. The photos in today’s papers just stopped me and I actually heard myself gasp and cry in the shop at the photo of a 3 year old refugee from Syria washed up on a Turkish beach, drowned. This little boy has haunted me today, his 5 year old brother and mother were also discovered dead. There is a crisis with refugees fleeing Syria and other countries to escape IS horrors, yet it is one we seem unwilling to address. The news is full of stories of refugees desperately trying to escape, thousands have drowned, hundreds have been found dead in lorries and others are being turned away or arrested at borders. There is another sickening photo today of a police officer writing numbers on people to identify them, these are people not numbers and this has scary reflections of the holocaust. I am seeing these images and I find it hard to understand why more is not being done to help these poor, desperate people. Politicians may talk of capping immigration but this is different this is a humanitarian crisis and we must act to help. Surely there is a way in which the developed nations can help these poor displaced people, you do not pack your worldly goods in one bag and take your family on a dangerous potentially deadly journey unless you are desperate. 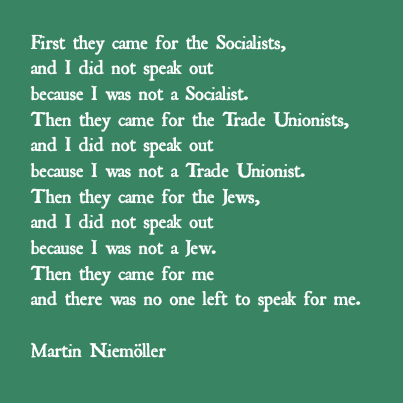 This is such a tragic event and I cannot help but be reminded of the words of Pastor Martin Niemoller, we must do something to help these victims. I cannot share the image from today’s headlines, Aylan should not be remembered as a corpse but as an amazing little 3 year old. Here he is on the left with his brother in a wonderful picture of two beautiful children in peaceful, happy times and may it remind us to love and support all our fellow citizens. Aylan and Ghalib may you rest in peace. 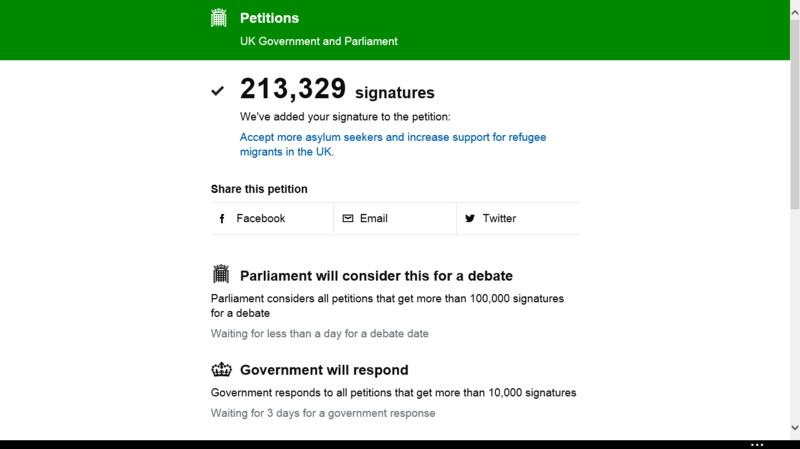 I have signed the following petition to enable the issue to be considered for discussion in parliament, I can only trust our government will show moral responsibility and positive action to support the refugees.